The song went on to influence other musical pioneers such as Bob Dylan and Bruce Springsteen, as well as many other aspects of culture. At Pier 24, it provides the inspiration for an exhibition of photography which surveys America and its social climate over the past decade. It is a tumultuous period of time which began with the seismic shock to of the 2008 financial crisis and its long aftermath, progressing through to the election of the first black president, and ending with a right-wing backlash leading to the rise of President Trump. This, in turn, has led to increased levels of activism globally – a notion which is reflected in the work at Pier 24. The exhibition addresses contentious issues far and wide – from police violence to wider economic inequality. 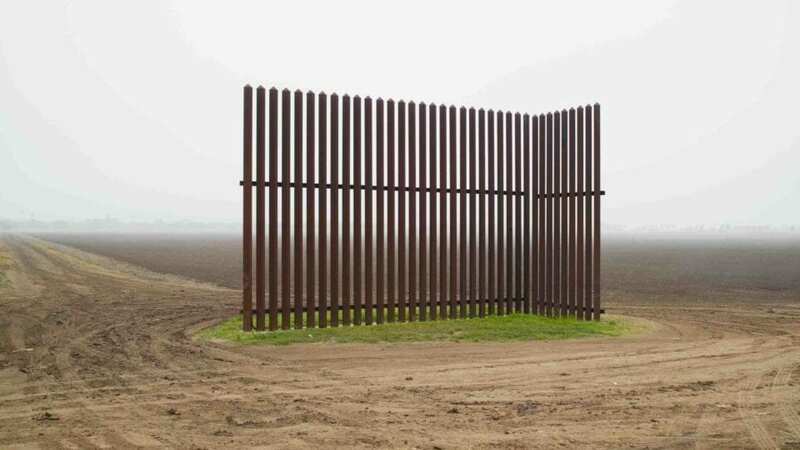 Richard Misrach, Wall, Los Indios, Texas / El muro, Los Indios, Texas, 2015. For This Land, a diverse selection of established and emerging photographers present vignettes that express the complexities of the country. The wide-ranging contributing artists include: Dawoud Bey, Guillermo Galindo, Bruce Gilden, Jim Goldberg, Katy Grannan, An-My Lê, Richard Misrach, James Nares, Paolo Pellegrin, Daniel Postaer, Alessandra Sanguinetti, Bryan Schutmaat, Alec Soth, Deanna Templeton, Ed Templeton, Brian Ulrich, Corine Vermeulen and Donovan Wylie. Nares’s contribution, Street, is a slow-motion video journey through New York streets, accompanied with a soundtrack by ex-Sonic Youth member Thurston Moore, whose music is synonymous with the city’s alternative culture. The lethargic movement counteracts the hectic pace of city life, highlighting the fleeting, intimate moments of human interaction. 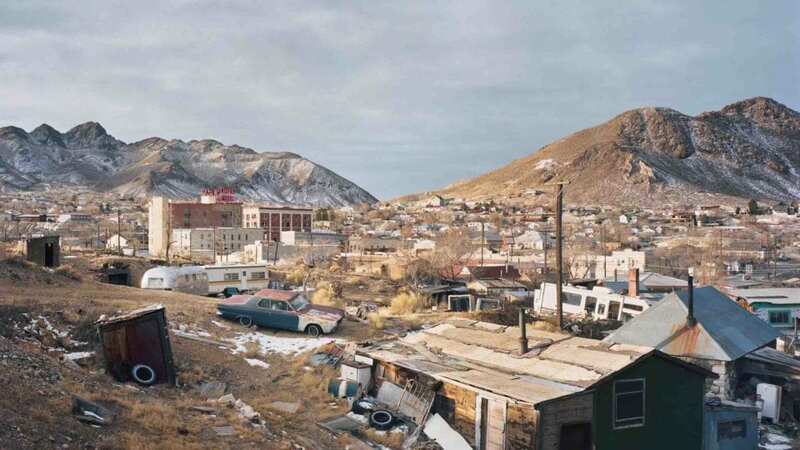 Another perspective on contemporary urban living comes from Postaer’s Boomtown series – shot close to the exhibition’s San Francisco base – in which the extremes of wealth and poverty are thrown into focus. Misrach – a pioneer of large format colour photography who has long been drawn to desert landscapes – features with works from the Border Cantos series. Each image examines the spaces beside the US / Mexico border, focusing upon the objects left behind by those passing through. Meanwhile, Soth – a practitioner renowned for his membership at Magnum – reflects upon the age of online news and social media interactions. Songbook provides visual representation of meetings, dances, festivals and community events, expressing the continued longing for human interaction despite the rise of the digital age. Altogether, the featured names encourage the viewer to reflect and engage with the state of America as a vast and anthropomorphic topic, proving as a group, that the subject is too vast for any singular perspective to take precedence. This Land is on view at Pier 24, San Francisco, until 31 March. Find out more here. Lead image: Bryan Schutmaat, Abandoned Homestead, 2011 © Bryan Schutmaat, courtesy the artist.